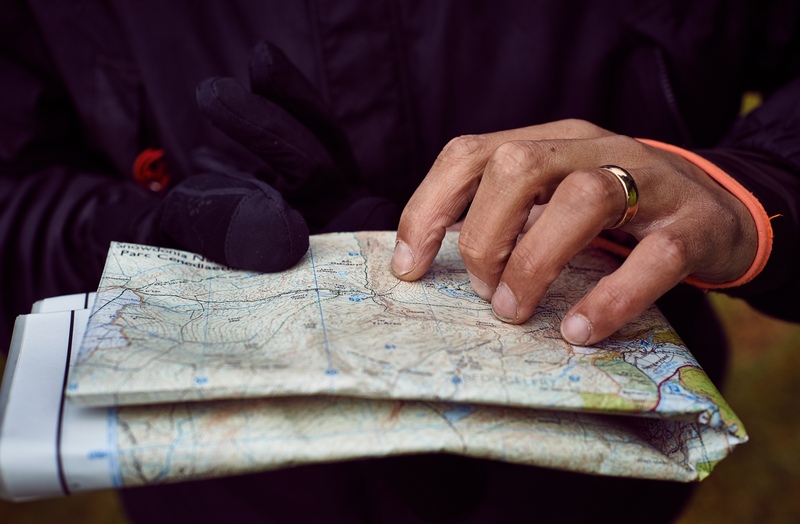 Our advanced navigation course will provide you with the skills to navigate effectively using a variety of strategies suitable for expeditions in the UK or abroad. An ideal course for anyone who wants to be confident in the use of navigational strategies, and relocation strategies in poor visibility or at night. We look at complex contour interpretation, and the more complex navigational strategies. By the end of the course we would like you to be sufficient in the use of micro navigation/night navigation. The course is 2 days, and is run in the Brecon Beacons, the Peak District, the Lake District or North Wales. Our client-to-instructor ratio does not exceed 6:1, so that we can give you our fullest attention. Suitable for anyone who has attended the beginner or mountain Navigation Course, or who is comfortable using a map. A high degree of physical fitness is not required. If in doubt about whether the course is suitable for you, please don’t hesitate to contact us. Each day of our advanced navigation course we would introduce the topic of weather and how this may impact our route selection. This is down to the client(s). We can either run this the evening of day 1, or have a day in between, and go out navigating on the evening of day 2. We would go out around dusk, and put into practice our night navigation skills we have learnt on the first part of the course. By the end of the course you will feel confident that you can navigate in the dark, or in poor visibility. It is a very freeing feeling to be able to use a map and compass, and know where you are exactly all of the time. If you are unsure whether the advanced navigation course is suitable for you, please do not hesitate to contact us on info@riseandsummit.co.uk or call us on 07775 853 348, and we would be happy to help.